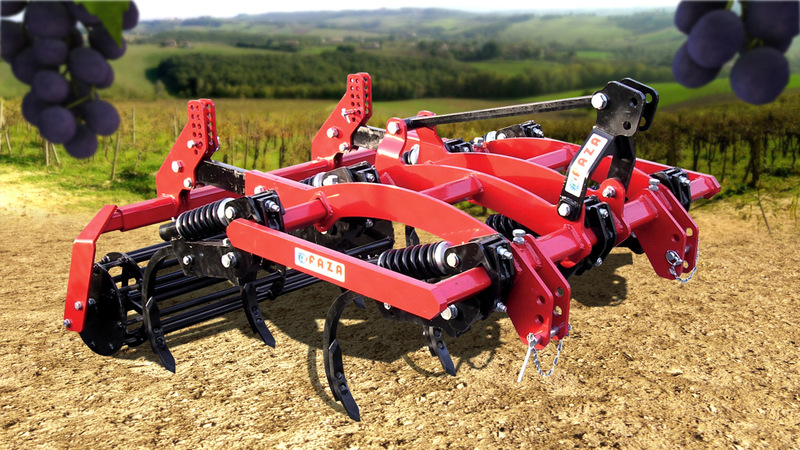 Faza Srl – It’s been more than 30 years since Faza started manufacturing agricultural machinery, we’re a very well known brand worldwide. Soil equipment, hay making, fertilizer spreaders, hobby machines. We also produce equipment for low HP tractors and animal-trailed equipment too. We put serious effort into studying how the global market moves and changes, that’s because we want to offer machines with cutting-edge technology, and we think green: our SF harrow can extirpate weed without the need of chemicals, we also offer the RV, a plough designed with biological agriculture in mind. We’re a strong presence in the italian marketplace, but we’re also growing in the expo department, we offer our products all around Europe and worldwide, knowing that we have a high quality line with affordable prices. We provide use and maintenance manuals and spare parts catalogues, genuine Faza parts are always available to buy from our warehouse. We export 50% of our production. We can innovate our machinery quickly thanks to our technical office, where highly skilled people can adapt the machine according to the final customer requires.